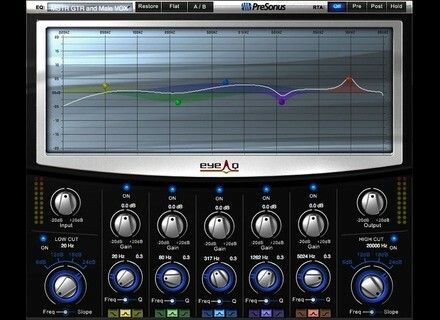 EyeQ, Software parametric EQ from PreSonus. PreSonus announced that it has established PreSonus Software, Ltd., a new entity based in Ireland. "...In many cases, when users attempt to use hardware with software, they are frustrated by a lengthy setup process. We are addressing this by designing hardware and software together so that they tightly integrate, eliminating configuration hassles and enabling us to deliver features that would not be possible otherwise," declared PreSonus CEO Jim Mack. 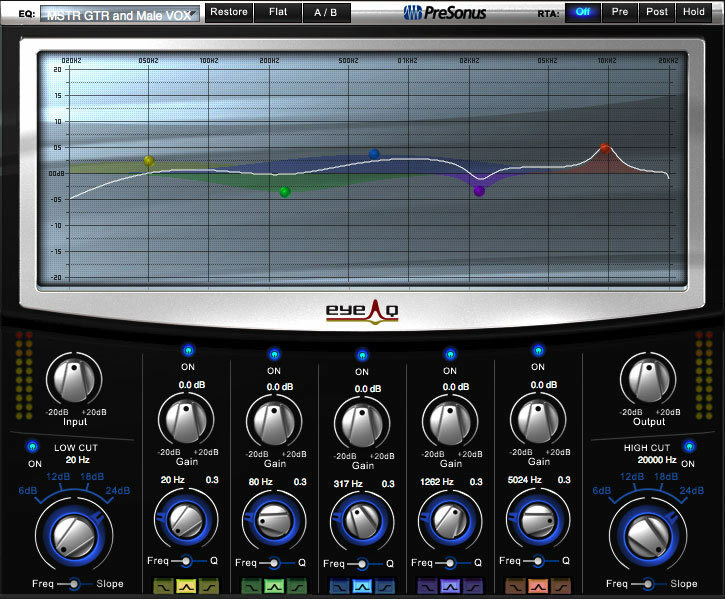 For more information, visit www.presonus.com. [NAMM] Philtre Labs Bollywood Elements Philtre Labs released the follow-up to their worldwide hit 'Bollywood Grooves', Bollywood Elements. 112db Releases Redline Monitor 112dB has announced that Redline Monitor, a near-field monitor simulation for headphones, is now available in RTAS/VST/AU format for Windows and Mac OS X at the introductory price of €69/$69. Vacuumsound Releases RIAA v1 For Mac Vacuumsound has released the Mac OS X VST version of the freebie RIAA phono equalization plug-in.